Would you like to download one of the best free hidden spy apps for Android? This is not an easy task because you must research all the options and find the best free one. Save time and choose Snoopza. It’s a free spy app for Android. It is totally invisible and can be used for recording SMS, call history, contacts, locations, camera, audio, internet activity, Instagram, WhatsApp, Viber, Facebook, Skype and Telegram. Only one payment option shows in 80%, it’s a scam. Pay attention to the details (e.g., payment options, agreements and so on). It’s no secret that there are lots of real but useless offers. Choose a proven solution — Snoopza. This secret phone app can be helpful in many situations. Why? There are many reasons. The best way to learn all of them is to use this application yourself. A hidden app such as Snoopza is invisible. Nobody can guess that you are tracking GPS, calls and SMS messages. This hidden SMS tracker can operate in stealth mode. This means it’s completely invisible to the people you’re controlling. We are speaking not about a hidden phone number but about a wise feature. The invisible operation mode can be turned off or on in the process of the cell phone tracker installation. If you want to ensure that nobody can find the hidden tracker, don’t forget to activate it. Not just children, but employees and loved ones may not realize that they’re doing something wrong. Using software, you’ll get the most accurate information. Maybe it’ll help protect your teens, or save your business or your relationships with somebody you love. And nobody will know that you are controlling their activity. You can take any situation into your hands and remain invisible. What can the secret recording app Snoopza do? It’s free and you can work in 100% stealth mode. 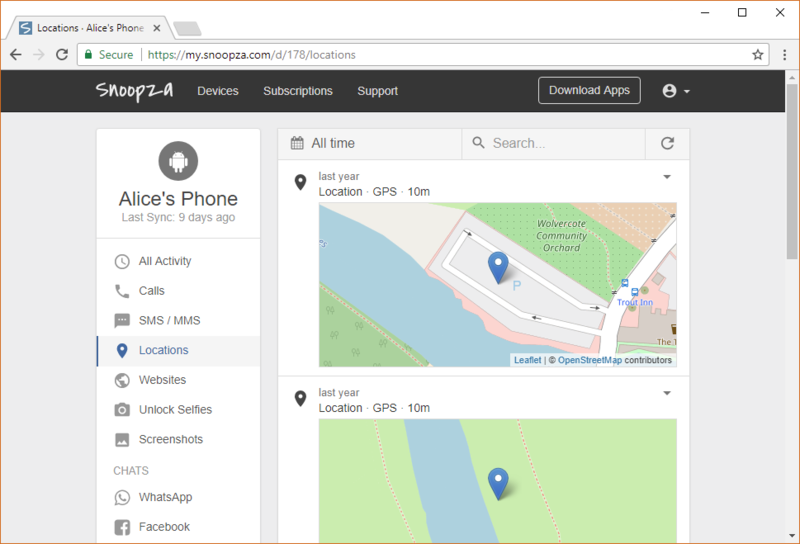 A hidden GPS tracker app such as Snoopza gives you a chance to see the current location of the target phone on the map, or its last position when the device connection was active. When something happens, the server generates and sends notifications with a pop-up window or via e-mail. It’s useful, for example, if you have lost your device or if it has been stolen. Firstly, sign up for a free account by entering your password and email. Secondly, download the app and install it. Thirdly, start tracking phone activities. Don’t forget to log into your web account. The most important step: After downloading the app, you’ll have to type a PIN (secret personal number). You’ll find it in your user panel online. It will give you the opportunity to launch the invisible application and access all data wherever and whenever you want. With this code, you’ll be able to delete the software or change the settings. It’s simple and easy to use. Try it! Cell spy stealth software by Snoopza is an invisible app that can be used to record SMS, call history, contacts, locations, camera, audio, internet activity, Instagram, WhatsApp, Viber, Facebook, Skype and Telegram.